It’s that time of year! Time to start thinking about holiday gifts! Unless you are one of those super on top of it people who is done shopping? That’s not me!!! I don’t wait until the last minute but I rarely buy a gift before Thanksgiving has arrived. In case you are thinking about what to get for the cook in your family (or if you are the cook then maybe you need to make a wish list?) 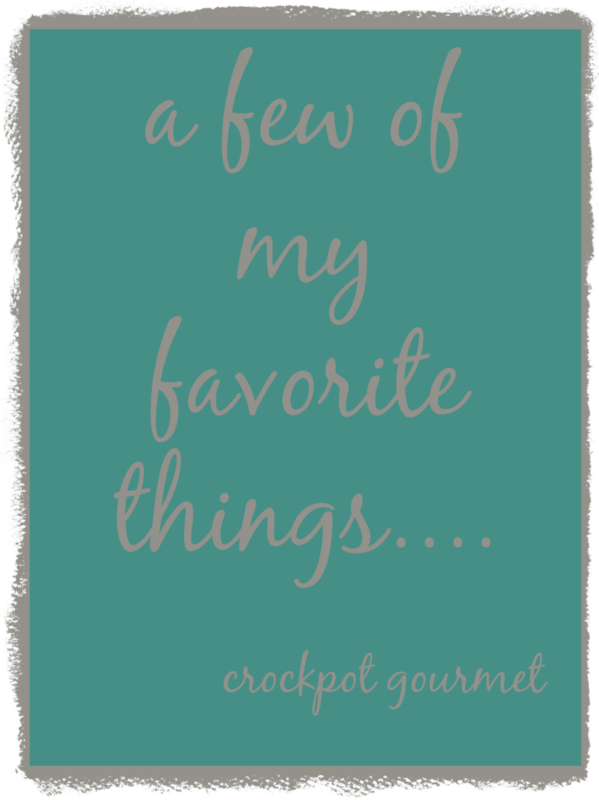 I decided to give you a list to show you a few of my favorite kitchen related things. These are not food blogger must haves, but rather things I love and use as a busy home cook. I’ve had this slow cooker for many years and I use it often. I love it because it is programmable meaning I can set it on high or low and set the number of hours I want my food to cook. Then when it’s done it automatically switches over to warm to maintain the food at the proper temperature until we are ready to eat. This is a life-saver on busy days when we are out of the house all day. I love walking in the house to dinner being already done! I’m pretty sure the best gift I’ve ever opened on Christmas was the rice cooker from my husband and son. This is not the exact one I have as they no longer make the model of Sanyo that I use (which is too bad! I love it!). But this one is almost the same and gets great reviews, so when mine finally bites the dust this is probably the one I will get. I love the way that rice cookers sense and perfectly cook your rice. I also suggest getting one with a timer so that you if you are slow cooking a dish you can also set your rice cooker to be done at the same time. Main dish and side dish done! I use mine every week for rice, oatmeal and quinoa. I’ve had this set of tongs forever and I use them every single day. I use them when I saute, when I’m flipping stuff in the oven, when I’m adding stuff to the crock. What else can I say? Probably the best kitchen utensil invented! I just bought this a couple of months ago to replace a super old, super nice, but super big santoku knife that I’ve used for years. The verdict? I love it. The size is just right for chopping onions, garlic and even potatoes. I will most likely be picking up the 7-inch version soon for things like cutting squash or any other bigger jobs. I suggest washing this by hand to keep it nice and to keep it from dulling quickly. What does a coffee maker have to do with cooking? At my house? A lot. Since I am a slow cooker fanatic enthusiast you know I’m usually making dinner at the same time I’m making breakfast. I love brewing up a cup of coffee, browsing some of my favorite blogs for recipes while I sip, and getting the dinner prep out of the way. I’m guessing the caffeine helps just a little with getting it all done!! I also feel like I should show you my favorite coffee, just because I love it so much and try to convince anyone I talk to about coffee that they should buy it too! If you’ve read any of my breakfast posts you may have noticed my droning about how I even though in general I love to cook I would rather pull the covers back over my head than deal with breakfast. When a friend told be they had an egg cooker I had to run right out and find one for myself! I never knew they existed but now that I do my life is so much easier. My son loves hard boiled eggs and this makes it super easy. On the rare occasion I eat a “real” breakfast instead of a smoothie then I can easily make poached eggs for myself! A couple months ago we were invited to dinner at the home of some friends and somewhere along the way the conversation turned to the topic of the revolving door that the kitchen seems to have when there are kids, adults, and weekends involved (or any day really!). They showed me their secret to cutting down on the endless cycles of the dishwasher… fast food baskets! Line these with a little deli paper and the mess can just go in the trash! I’ve never liked the idea of paper plates as they just seem to create so much waste but these are perfect! Just a little piece of paper keeps the basket clean with so little waste! I ran right home and ordered these for our house and we have cut way back on the number of times we run the dishwasher! For sure this great for a holiday dinner when oven space is in high demand or when you have to take something along to a pot-luck. But this is also great for everyday too! I use mine a lot when I want to make a casserole! I can put it in at breakfast or lunch time and not worry again. If we have errands to run or homework to do I don’t even have to give dinner a second thought! And don’t we all have a million casserole recipes we love to serve? This makes it so much more convenient to do so! Hey, snacks are an important part of cooking too! And, well, truth be told I’ve been known to eat popcorn for dinner when no one else was home. Microwaved popcorn is not really my thing so I’ve tried lots of ways of making it instead including several different air poppers. This one takes the cake. Why is it that the others I tried would send popcorn shooting all over the room? This one pops it right into my bowl where it should be along with the melted butter I like to pour all over it. Mmmmmm, popcorn is a food group right? This sounds totally silly but for the longest time I only ever had 2 cup measuring cups. I finally got around to getting myself a 4 cup and it’s a game changer! So much easier for mixing stuff up, for making bigger recipes, it just comes in handy in so many ways. If you don’t have one you don’t know what you are missing! And that about does it! A list of the things I just don’t want to live without in the kitchen! What are your must haves? Anything new on your wish list? I’m on the hunt for a smaller Santoku knife (petite hands) and a rice cooker so I will take a look at these… and maybe let Santa know I want them! 🙂 Thanks so much for the suggestions!